Yorimoto Ryokan Hiroshima, Hotel Japan. Limited Time Offer! Yorimoto Ryokan. "Yorimoto Ryokan" has acquired 2 stars. The residence can be found in Hiroshima. You have the opportunity to book a relaxing massage. Guests can dine at the onsite restaurant. After a good night's rest, visitors can enjoy breakfast at the accommodation. This residence provides guests with Internet access. 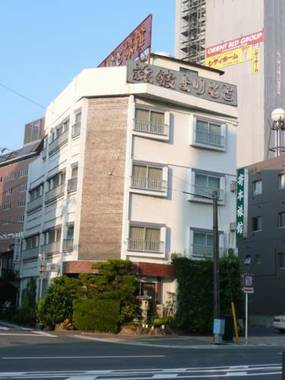 Conveniently located a 3-minute walk from JR Hiroshima Train Station, Hotel New Yorishiro offers comfortable rooms with free internet access and a flat-screen TV. Breakfast with free coffee is served. Hiroshima Intelligent Hotel Main & New Building is located in Hiroshima, Japan Near Hiroshima Station 400 metres from the Mazda Stadium 2.4 kilometres from Peace Memorial Park Hotel Features.